so not fair that everyone is not included !!!!!! I have a kangaroo that is in a different room of the house, would love to have this little talbe for projects to do in the livingroom, so I could visit with my husband. done - thanks so much!!! Hmmm...which sewing area to send? The tv tray? The kitchen table, my desk, the big table? All of which pale in comparison to having a gidget II! I sew all over the house! Wherever I can find an empty flat space! 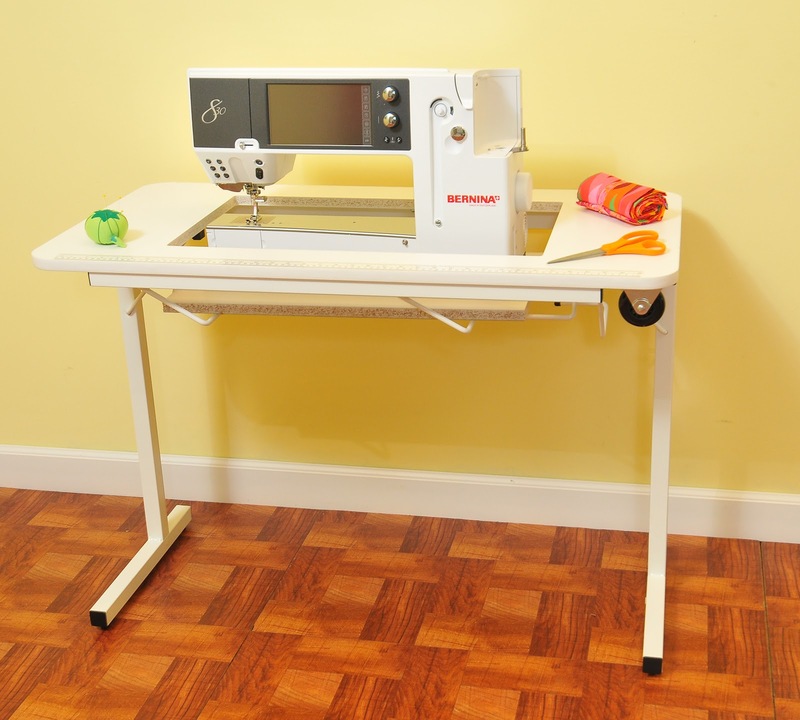 I'm sewing on a computer desk in my dining room and when I want to work on quilts I have to use my kitchen area and table. Mine isn't technically an Arrow or Kangaroo, but since I do have one from a company that you purchased the rights to, I will not enter to allow others who don't have a decent set-up to win. What a great company you are! Thank you for the chance!!! It's nice ,but what about people who don't have a camera phone or a web cam?I don't have them. I too do not own a camera of any kind, but I sew on an old desk that my machine sets on. When I do a bigger quilt I put my ironing board next to it so that it can drap on it instead of the floor. i'm sorry you are leaving me out of the competition ... alaska is contiuous to canada and we do have stores that carry your products. i would have liked y'all to have seen my craft room - i planned and put 1t together myself the year i was 70. I'd like to see a picture of your craft room. I bet it's great! Sending a picture of my cluttered kitchen/sewing table! This would be so nice to have! I sent mine in. My problems are the height of the machine bed when it's on the table and having to go into another room to press or cut fabric. I have a room that I'm using as my cutting, pressing room but nothing to put the machine on. Hope I win but I'm sure there are others that are in worse shape than I am. I can't imagine sewing on a wobbly tv tray. 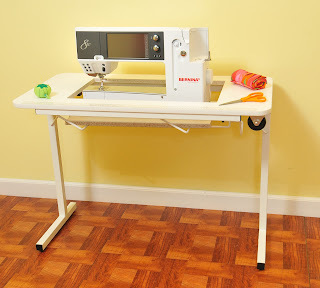 But then again, we die hard sewing enthusiast won't let a little obstacle like no sewing table will keep us from sewing. Am I right? Thanks for all the giveaways you do. Well, I did it. I sent a picture of my kitchen table that is the only table I own to sew on. Haha! I use my coffee table in my living area. I'm sad I missed the contest but I know there'll be others. :) Thanks for all the fun contests and giveaways! Well I missed this one, need to watch for the next. I sew on a table that my parents used 40 years ago as a demo table when they were selling some product. Forgot the company name. It's about 16" or 17" wide and 60" long, but half is filled with supplies, then the sewing machine in the middle and a portable pressing/cutting mat & iron on the left end. That's after I clean the computer and books off the left end. It's a pain.